Whether you are a great art lover or just like to keep stuffs which stands out in the crowd, this product should be your favorite. Read More..Having a wooden tray of this kind definitely reflects your taste for art and beauty. This wooden tray is rectangular in shape and the rims are bordered with white colour. 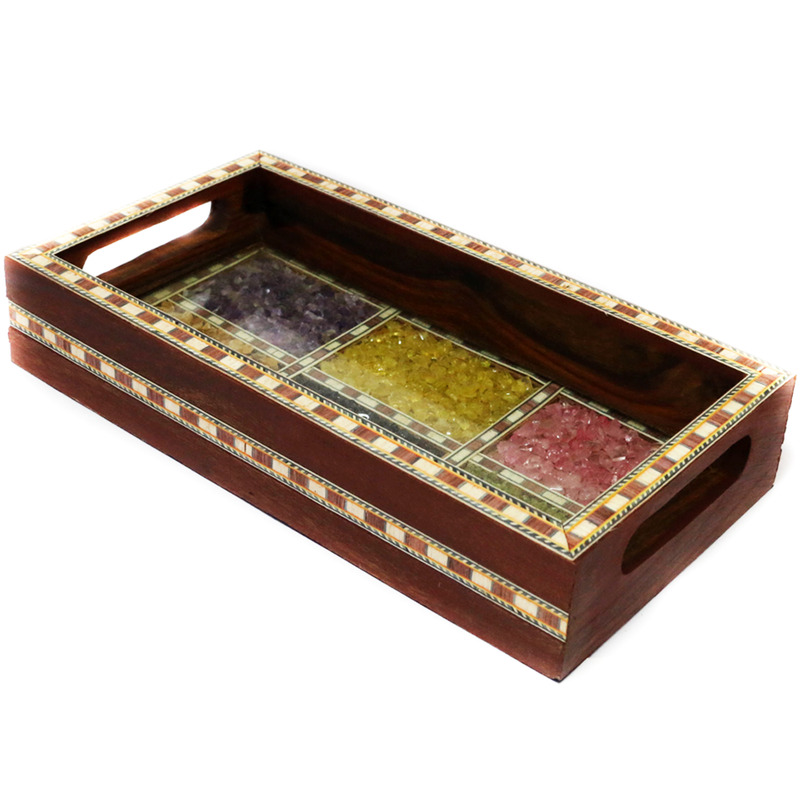 the interior base of the tray is made colourful with yellow, purple and pink hues. Show Less..